Messiah’s 17th Annual Ring and Sing Concert took place on Sunday, December 13th. The concert featured the musical talents of Messiah’s several handbell groups, the adult choir, and the church’s instrumental ensemble. Stephanie Wallace presented a solo rendition of Christmas Hallelujah. 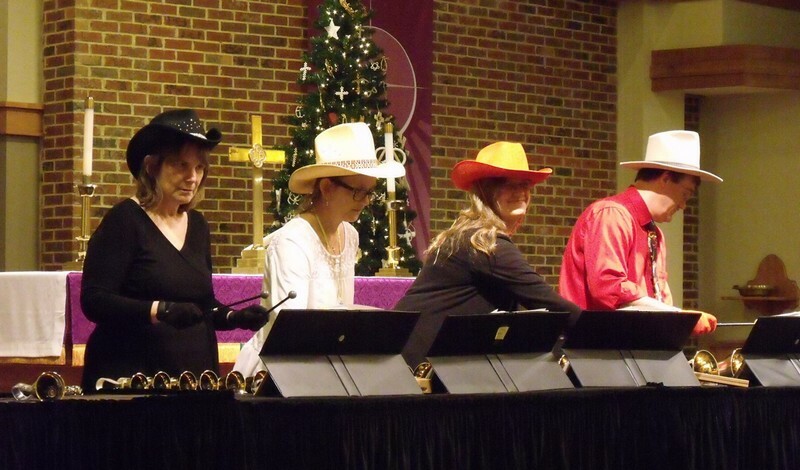 The event was emceed by Rhonda Gaede, who also serves as the director for the church’s handbell choir, Notabella. While ringing was very much the center stage of the event, there was plenty of singing, too! There was even an audience event in which the audience played hand chimes and sang several traditional Christmas Carols. Lois Graff, who is Messiah’s organist and Director of Music Ministries, directed the instrumental ensemble which is comprised of youth and adult musicians. The Adult Choir is directed by Randall Fields. The Cherub Choir, led by Messiah’s Outreach Director, Claire Strand, played “Jingle Bells” and “Happy Birthday” to Jesus.